When I was in school, I was a serious student of music, theater, art history and literature. That’s probably no big surprise for someone who works at the arts council. Nearly all of my life, I have also been a bit of a jock. Title IX was passed just before I entered high school, and girls slowly began to have access to a variety of sports. I took advantage of every opportunity to participate: volleyball, tennis, basketball, track, field hockey, even synchronized swimming. As an adult, I looked for new physical outlets: Jazzercise and tennis in the 80s; cycling and club volleyball in the 90s; triathlon and running in the 00s. I always had a lot of friends who shared these interests, but rarely did the two worlds mix. On Jan. 28, however, I had the opportunity to make these worlds collide. When I learned that the Downtown Lexington Corporation (DLC) was both a sponsor and a beneficiary of the funds that were to be raised from Lexington’s inaugural Urban Mountain Challenge, I thought I should participate. 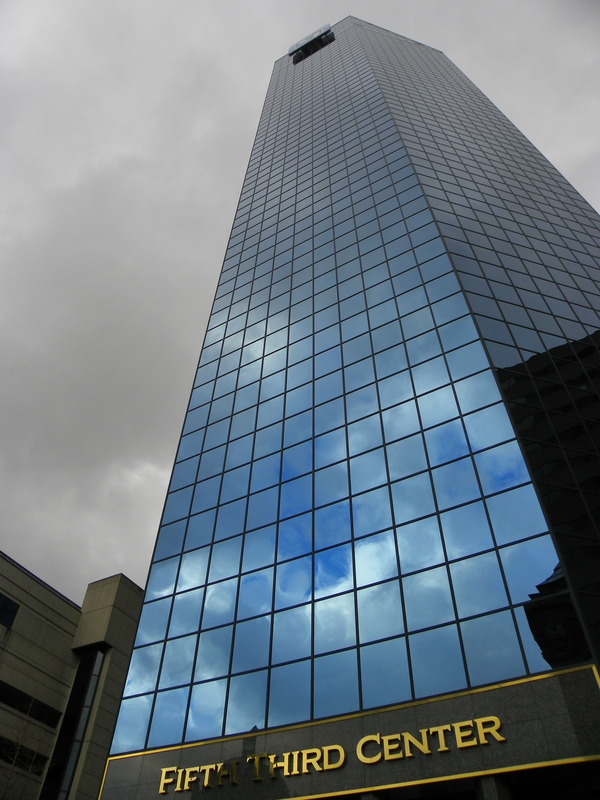 As the name suggests, the challenge was to run up the 29 flights of stairs at the Lexington Financial Center, commonly known as the big blue building. The arts council was already working with the Downtown Lexington Corp. to promote Kentucky Crafted: The Market, which is returning to Lexington March 1-4 after many successful years in Louisville. Suddenly, it looked like a perfect match. Yep, that’s a lot of stairs. I contacted Tamara Deckard at the DLC and arranged to have bookmarks promoting The Market put in the packet of information each racer received. With Chris Cathers’ help, we also donated three sets of two passes to Kentucky Crafted: The Market to be given away as door prizes after the event. Finally, I made a makeshift “sandwich board” out of two postcards we were mailing to promote The Market so I could wear it around after I raced. I was hard to miss at the after-party, wearing my homemade Kentucky Crafted: The Market sandwich board. Since I work in a 24+ story office tower, I had the perfect place to train. Unfortunately, work demands allowed me only one opportunity to run the stairs before the race. I realized it wasn’t too bad: I anticipated somewhere between five and seven minutes of abject suffering. I was up for that. Everything went off as planned. I hardly remember the pain of the run, and I had lots of opportunities afterwards to talk about The Market and hand out postcards to participants. As it turned out, the organizers of the race had even arranged to have live music before the awards were given away. Those guys (all illustrious members of the local triathlon and running community) already understood the value of mixing the arts and more physical pursuits. All in all, it was a successful day. 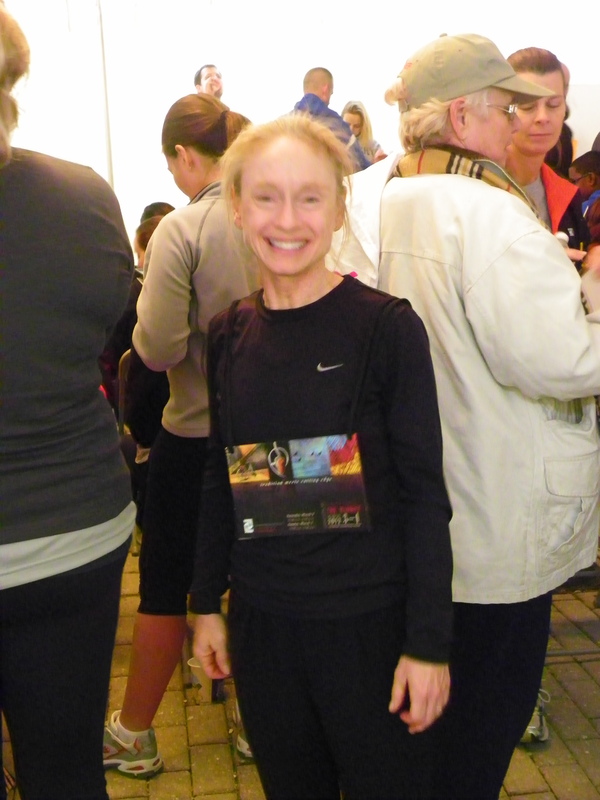 I was the seventh female finisher (out of 150) with a time of 4:54. I felt like I made a sincere effort to promote The Market among a group of people who were interested in coming to downtown Lexington on a weekend to enjoy an event. And I felt energized and ever so slightly more optimistic about my ability to endure the final push required to make The Market a success. I just have to look at it as five-minute increments of hardship, strung along like beads in a never-ending strand of pearls. I think I’m up for that.